If I do say so myself, Star Wars never looked so chic! 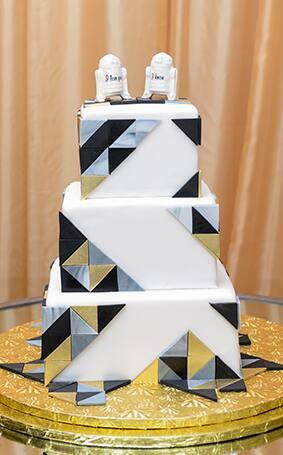 Inspired by art deco, this three-tier Walt Disney World wedding cake is truly a confection out of this galaxy. 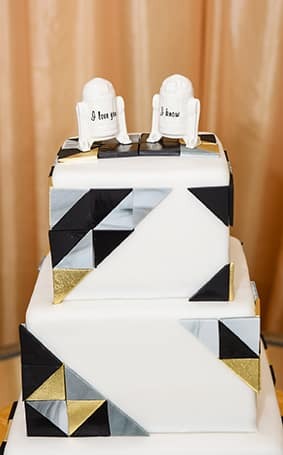 My favorite part is how the couple incorporated Hans Solo's famous love declaration quote on the R2D2 inspired cake toppers- the ultimate expression of admiration for any Star Wars fan.